The RobotFX MACD expert advisor ideology is meant for the traders that are familiar and use the moving average convergence divergence (MACD) indicator in their trading decisions. The MACD EA is easy to set up and use, as it can be seen from its settings below. To make sure the expert advisor trades in the right direction (ie with the trend) the trader can choose to follow the trend given by the same MACD settings used to enter/exit the trades. The trader can choose any other values depending on the traded pair. The trading signals are based on the intersection of the MACD’s signal line and the main line. Following the trend, the EA sells when the MACD main line drops below the signal line and it buys when the main crosses the signal, up. The stop-loss and the take-profit are set immediately after the trade is opened, making this expert advisor compatible with the ECN brokers. The trader has also the option to use the Stochastic indicator to confirm the entries and/or the exits. 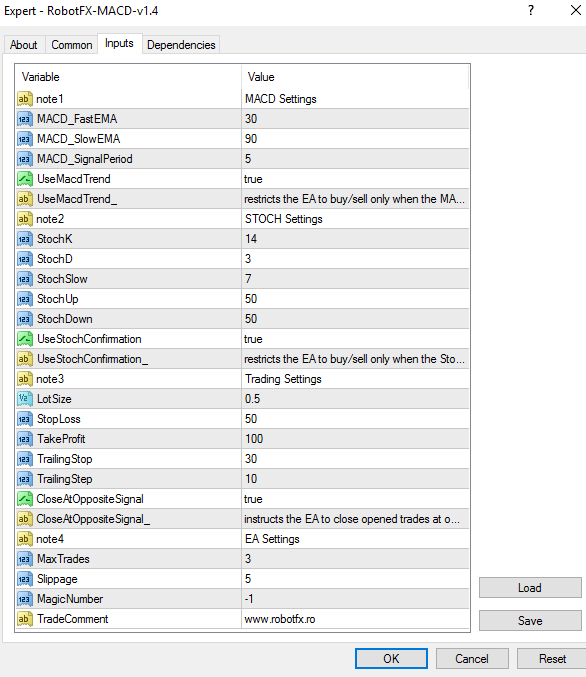 In the example below, using the default settings settings, the MACD EA opened three trades (maximum allowed) when the trend was up, the MACD raised above the signal line and the Stochastic was oversold, and managed to close one by trailing stop and the other two at take profit. 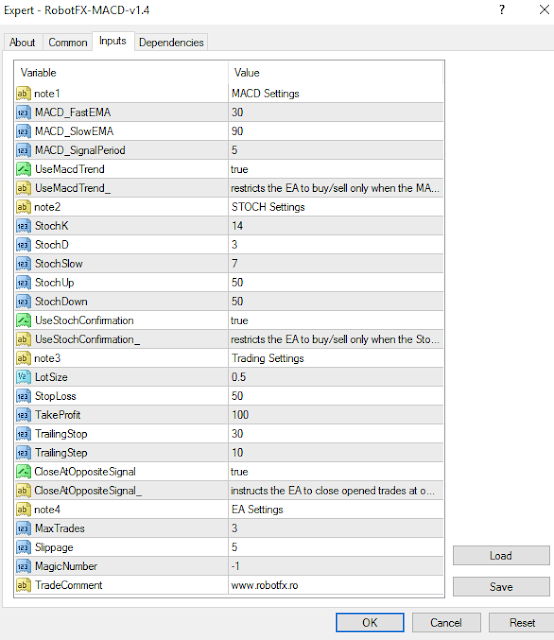 To better manage the trades, the EA can limit the number of the total opened trades and it can also close the opened trades at opposite signals.